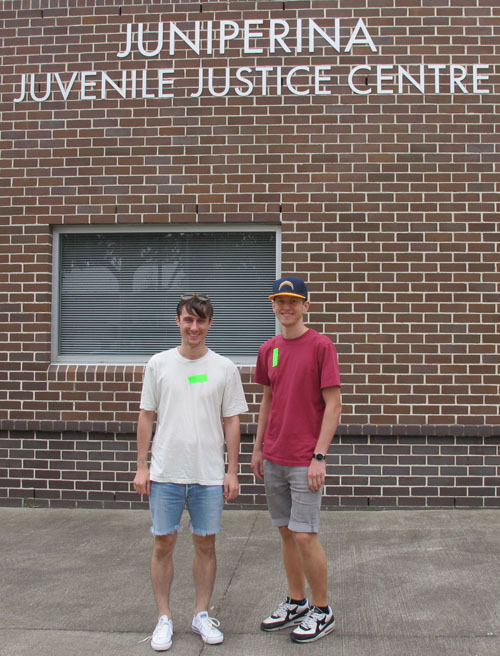 The past two weeks, Heaps Decent’s Charlie has taken some newcomers, Hugh O’Brien and Scott Stirling, to help out running a workshop at Juniperina. They were thrown in the deep end and did an excellent job! Here’s what Hugh had to say about the experience:“As a first timer to the Heaps Decent workshop programme with the girls at Juniperina, I was really quite nervous to start with. Being inducted with another first timer, Scott Stirling, was a fortunate situation. We bounced off each other in the steep learning curve — probably more off him, considering his ACTUAL skills… Two trips to Juni down, I’ve learned a great deal about the girls and how Heaps Decent can help them, and I’m super keen to get there again soon!